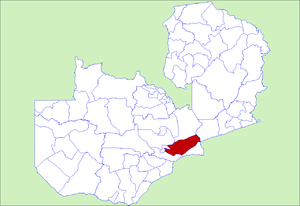 Chongwe District is a district of Zambia, located in Lusaka Province. The capital lies at Chongwe. As of the 2000 Zambian Census, the district had a population of 137,461 people. Chongwe is home to Chalimbana University (formerly National In-service Teachers College - NISTCOL). This page was last edited on 14 July 2016, at 15:08.